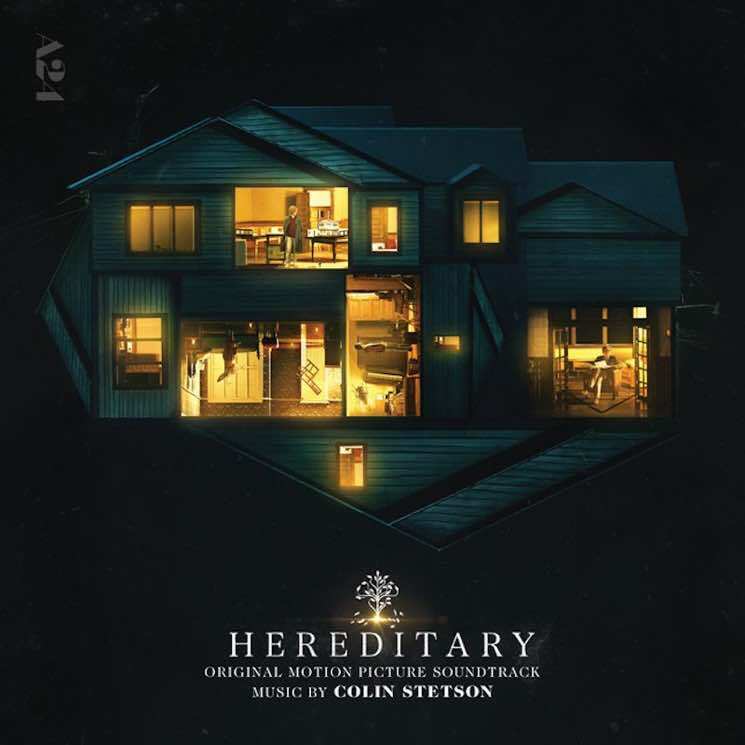 Colin Stetson has been teasing his new score to the highly buzzed horror film Hereditary in piecemeal fashion. But at last, you can now consume the entire work. In the wake of such teaser tracks as "Funeral," "Charlie," "Dreaming" and "Mothers & Daughters," the entire soundtrack can be streamed in full below. In Hereditary when Ellen, the matriarch of the Graham family, passes away, her daughter's family begins to unravel cryptic and increasingly terrifying secrets about their ancestry. The more they discover, the more they find themselves trying to outrun the sinister fate they seem to have inherited. Making his feature debut, writer-director Ari Aster unleashes a nightmare vision of a domestic breakdown that exhibits the craft and precision of a nascent auteur, transforming a familial tragedy into something ominous and deeply disquieting, and pushing the horror movie into chilling new terrain with its shattering portrait of heritage gone to hell. The Hereditary soundtrack is out now via Milan Records, as is the film itself via A24. Read Exclaim! 's review to the film here and our review of Stetson's soundtrack here.